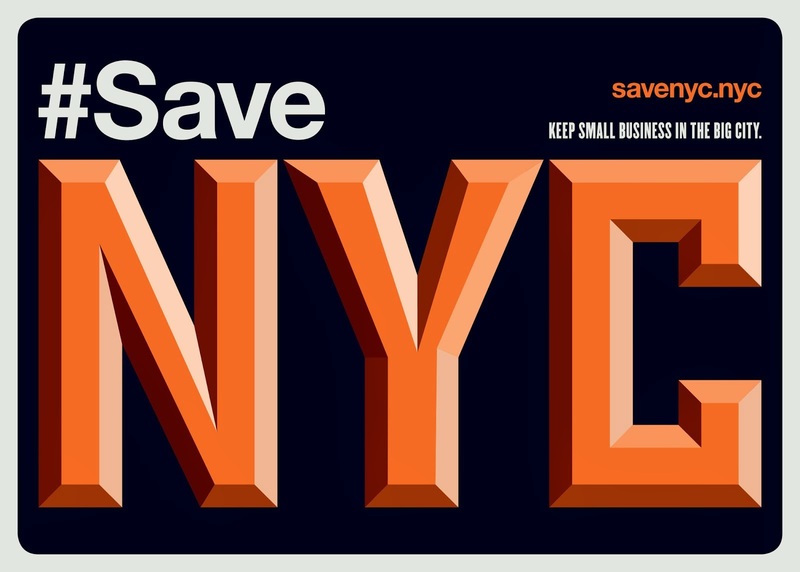 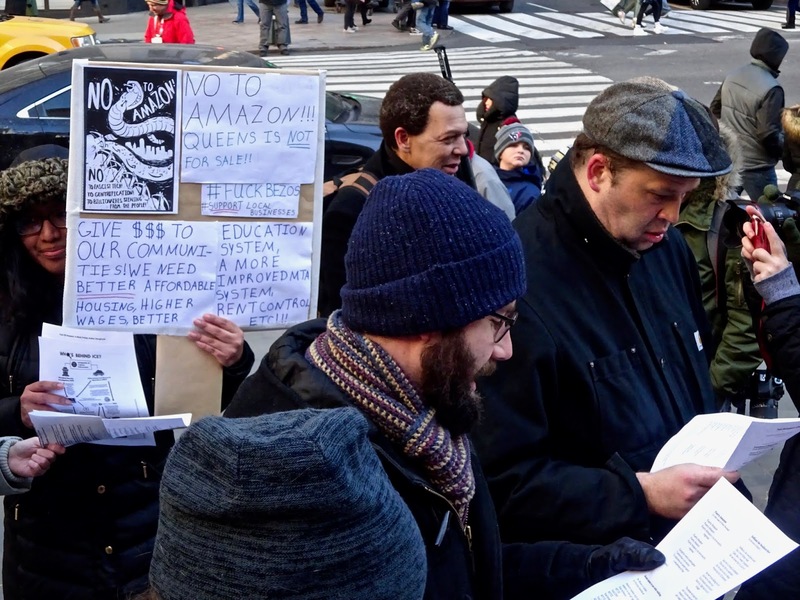 Since Amazon announced its controversial plan to move into Long Island City, Queens, New Yorkers have organized in force against the corporate tech giant. 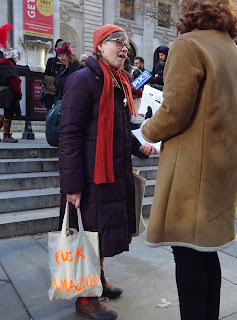 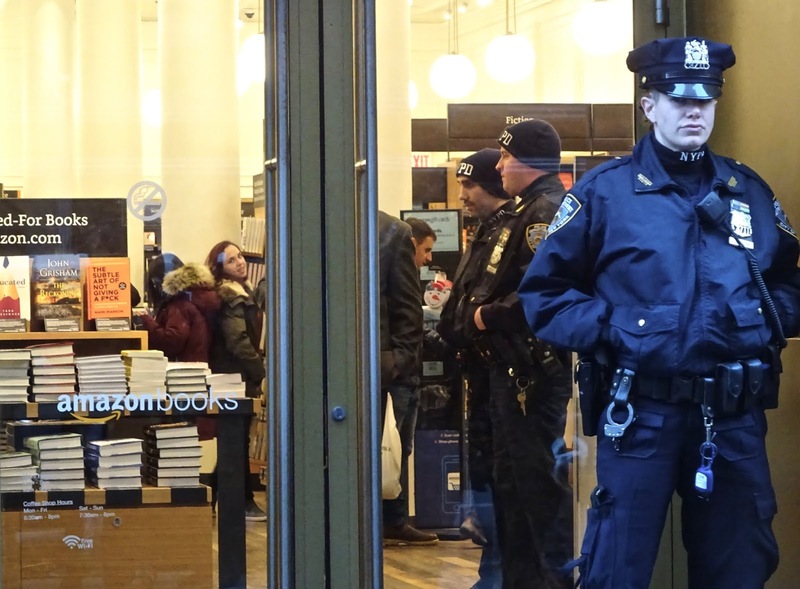 On Black Friday, a group called Amazons Against Amazon rallied on the steps of the NYPL Main Branch and marched to the Amazon bookstore on 34th Street, singing anti-Amazon carols while the NYPD guarded the store. Songs including "DeBlasio the Neoliberal Mayor," sung to the tune of Rudolph the Red-Nosed Reindeer, and Countdown to Amazon HQ2, a.k.a. The 12 Days of Christmas. 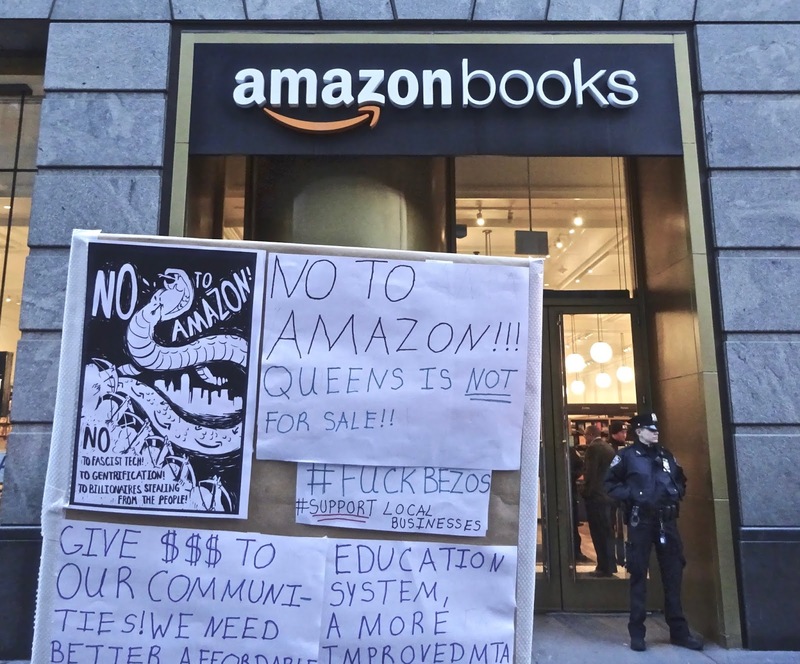 "Amazon got a buyout and gave to NYC: Skyrocketing rents, No more local bookstores, Tech bro invasions," among other undesirable gifts. More events and actions are being planned by multiple activist groups. 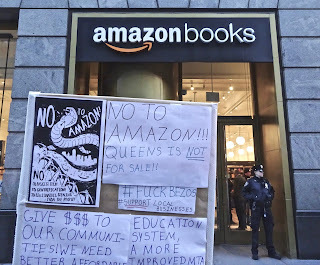 Today, Amazons Against Amazon and the Queens Anti-Gentrification Project are calling for a Cyber Monday blackout of Amazon.